The structure buckled, tipped towards the home it was being used to serve and bent in on itself – effectively creating a chute that sent the worker and an array of materials, including plaster boards, wood and lead rolls, crashing six metres to the ground below. Thomas Pastura, 24, broke two ribs in the fall at the property in Hornsey, on 4 October 2013. His employer, Acton-based Lofty Creations, was prosecuted on 11 March by the Health and Safety Executive (HSE) after an investigation identified clear failings with the design of the scaffold. Westminster Magistrates’ Court heard it was being used to provide access to the roof of a traditional two-storey property where a loft conversion was underway, and had been built to reach across a ground level bay window. 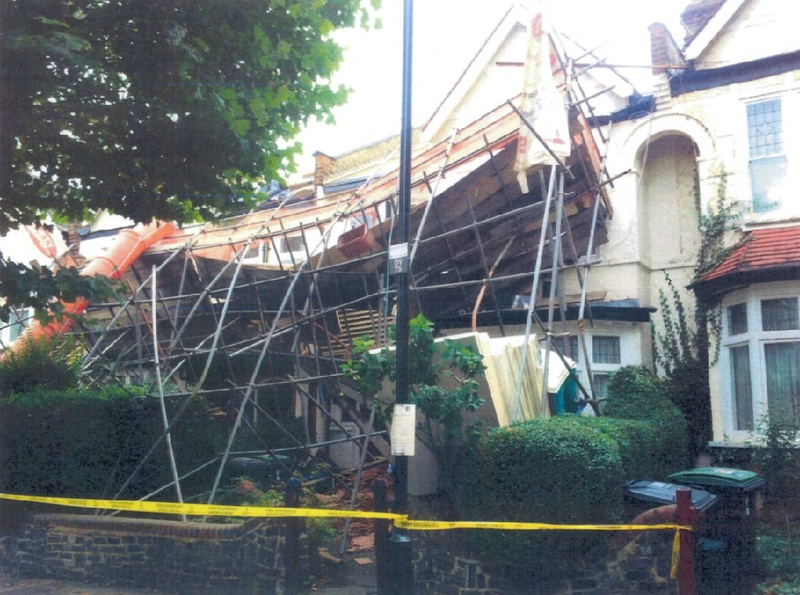 HSE established that the weight of the materials on the structure at the time of collapse was between 3-3.5 tonnes – the equivalent of a transit van. This was far greater than it could safely handle and it gave way as it was simply unable to bear the load. Magistrates were told that, as a company routinely engaged with work at height, Lofty Creations should have known the property required a scaffold built to an approved design by a specialist structural engineer. Lofty Creations UK Ltd., of Warple Way, Acton, was fined £5,000 and ordered to pay a further £1,019 in costs after pleading guilty to a single breach of the Construction (Design and Management) Regulations 2007.